Unfortunately – or fortunately – I cannot find that video. That said, handwashing with soap, especially for children under the age of five, has never been more important as it is today. Just think about the Ebola epidemic and the fact that Cholera is still life-threatening in many developing countries, including Ghana, and you’ll get my drift. 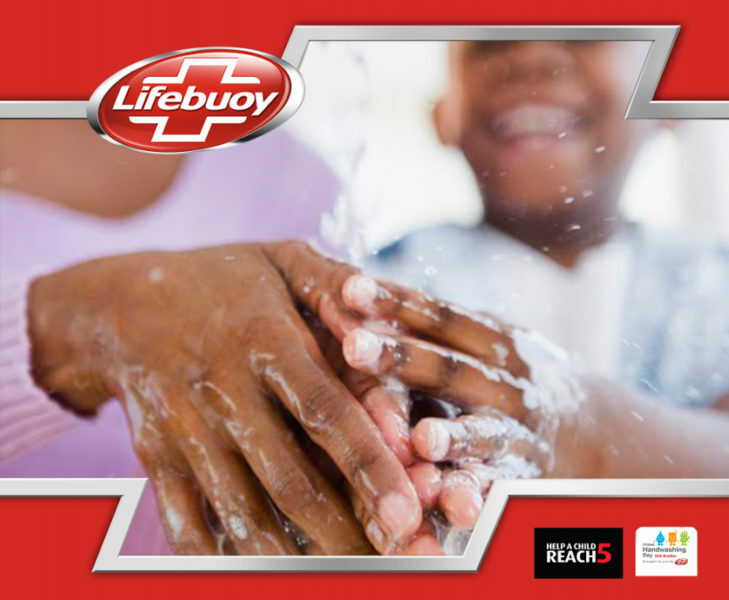 As part of this year’s GHD activities, Unilever/Lifebuoy have launched the #HelpAChildReach5 campaign on the importance of handwashing with soap in battling child mortality. I agreed to participate in their campaign as part of a partnership with Blogging Ghana. That video tutorial on how to wash your hands with soap while singing “Happy Birthday”? I think Elmo and the children featured in a video on the GHD website do a better job than we ever could (below). This time around, I’ll do the grown up thing and simply share some of the facts and figures that stood out to me. I also invite you to join me in watching Lifebuoy Tree of Life – a thought-provoking video about under-five child mortality, which is linked to Millennium Development Goal (MDG) 4. Watch below, take a look at my top-five facts on child mortality and handwashing, and/or download the Handwashing Factsheet courtesy Unilever. Make sure you wash your hands with soap and spread the word. It might just save a young life! 1/ Diarrhoea and pneumonia are the top two killers of children – together they cause 1.7 million annual child deaths, 26% of total child mortality is pneumonia (over 4,500 children each day). Every 20 seconds, one child dies from diarrhoea or pneumonia (over 4,500 children each day). 2/ Over 80% of under 5 deaths are in sub-Saharan Africa and South Asia. 3/ Handwashing with soap is the single most cost effective intervention to prevent child deaths. It is proven to reduce diarrhoeal disease by up to 45% killers of children under 5, and pneumonia by 23%. 4/ While most people do have access to soap, the number of people who regularly wash their hands at the right times – such as before eating and after using the toilet – is very low. Across a global review of 11 countries, the average rate of handwashing after using the toilet is only 17% and this dips as low as 3% in Ghana and 1% in rural India. 5/ Studies by the World Bank have shown a $3.35 investment in handwashing brings the same benefit as an $11 investment in latrine promotion and a $223 investment in household water supply connection. It can also can reduce school absenteeism by between 20-50%.